On Monday 7th November, Joseph Chamberlain Sixth Form College teacher of the sciences, Susan De Cicco, acted as a key speaker for the University of Leicester Computer Science department. The event was hosted by Go-Lab, a European initiative that uses virtual labs for the teaching of science. Go-Lab is a free programme that teachers can access and produce learning scenarios for their classes and is dedicated to encourage young people aged from ten to eighteen to engage in science more. The event was based in Coventry, with teachers from all across Europe, including Norway, Malta, Greece and Italy coming together to share best practice and experiences. Sue was a speaker alongside two representatives from the University of Leicester, who are partnered with Go-Lab to introduce the initiative to teachers. Sue initially received training on Go-Lab last year at the University and was asked to return this year to demonstrate how she used Go-Lab at Joseph Chamberlain College and share her experiences of how it was useful for her and her students from a teacher’s perspective, in order to help others in the beginning of their use of Go-Lab. As a result of her work on Go-Lab, Sue was also chosen to represent the UK at a workshop weekend in Brussels at the start of June 2016, and a whole week’s summer school in Greece in July 2016, both of which she highly enjoyed. Sue continues to be involved in the Go-Lab initiative and anticipates taking part in future events as well as continuing to use computer science to encourage Joseph Chamberlain students to engage more with science. 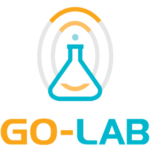 To find out more about Go-Lab and their virtual science labs, click here. To contact Susan De Cicco about her experiences of Go-Lab please email SDeCicco@jcc.ac.uk.